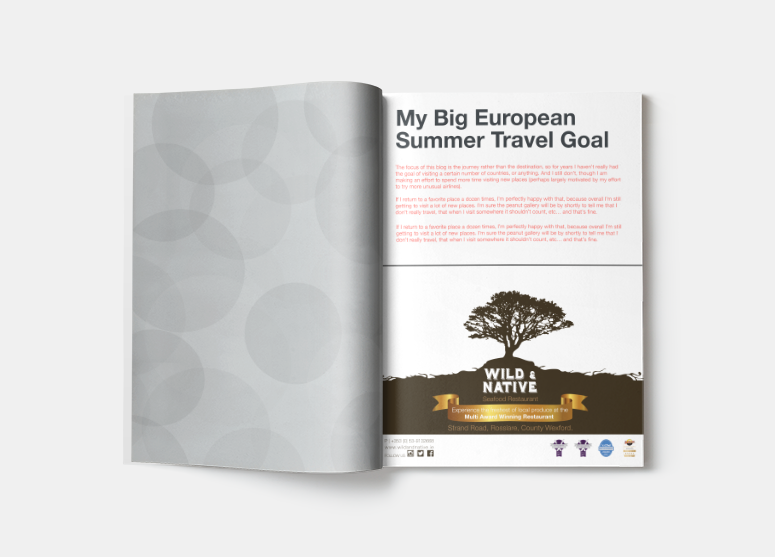 Create an advertisement for The National Opera house brochure for Wild and Native Restaurant. A multi-award winning, high-end artisan restaurant, we kept this very simple. The restaurants USP is its natural, fresh, local produce. We got the feeling of natural, no added extras, just good honest food. We took these principles and applied them to our design minimal and no fuss. Need your Brand to get noticed? We have many ideas to help your business grow. Grab a coffee with us and lets talk ideas!